Can Police Do That? 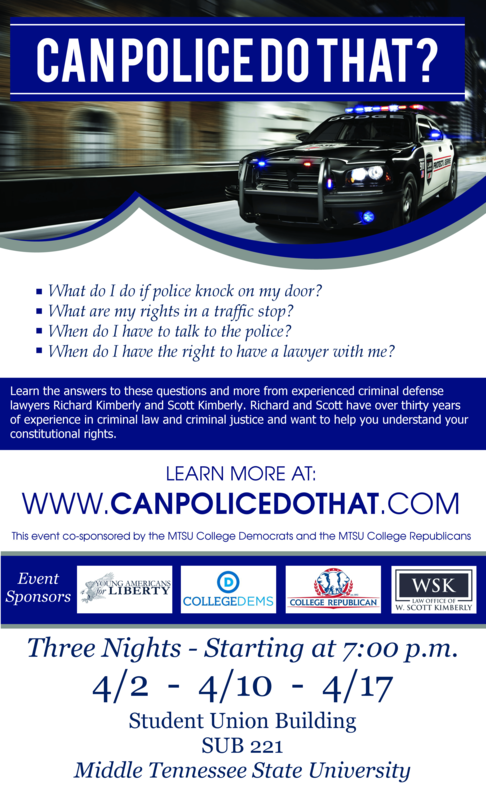 | Know Your Constitutional Rights! Ask an Attorney: Can Police Do That? Welcome to CanPoliceDoThat.com! Our goal is provide high-quality legal seminars to educate the public on Constitutional Rights. If you have ever found yourself wondering what are my rights when I’m speaking with police or when do I have the right to a lawyer, you’ve come to the right place. 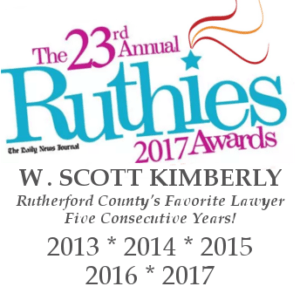 Join Murfreesboro Criminal Defense Attorney Scott Kimberly and retired Criminal Defense Attorney and Criminal Justice Instructor Richard Kimberly to discuss your Constitutional Rights! Each Night Begins at 7:00 p.m.